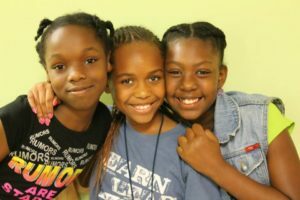 This summer, 240 at-risk children and youth participated in Freedom School, an eight-week full-time summer enrichment program that helps children fall in love with reading, increases their self-esteem, and generates more positive attitudes toward learning. Pre- and post-testing of the children revealed that, on average, their reading levels increased 14 months. Young scholars participated in high-quality STEM clubs that provided them an in-depth learning experience in an area of interest to them. Additionally, the children had the opportunity to engage in a wide variety of learning experiences, including interacting with professional guests representing various career paths, visiting museums and science centers, a campus tour of Campbell University, and participating in community service and social action projects. If you are interested in working at Freedom Schools this summer, please download our application and email it back to jesse@rockymountpeacemakers.org or contact Jesse Lewis at 252.212.5044. This program is an alternative day program for elementary school students that have been suspended for 3 – 10 days. The program is operated in conjunction with Nash Rocky Mount Public Schools, and accommodates up to 15 students per day. Students go to Peacemakers each day and receive academic instruction from a certified EC teacher, and also work with a Behavioral Specialist who helps equip the students with social and behavioral tools needed to avoid future discipline problems. Peacemakers offers a free after-school program for 40 neighborhood elementary school students. The program provides homework assistance, individual tutoring on skills that need remedial help, and a snack. It is offered four days a week, two hours per day, during the school year. 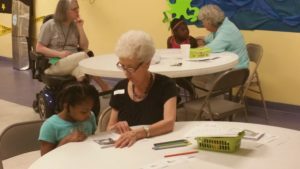 On the third Saturday of each month, Peacemakers offers free Book Parties to neighborhood children. The kids receive lunch, listen to a read-aloud guest, engage in fun activities, and choose several books they are able to take home and keep. Low-income families generally do not have age-appropriate reading material in the home for the children, and the goal of this program is to build an age-appropriate in-home library of reading material for the child, which will have long-term academic benefits. Peacemakers features an open-access 14-unit Windows-based computer lab that is open to anyone six days per week. Neighborhood children use the lab to work on school work, while many adults use it to complete online job applications. The lab is also available for recreational use.